Any technology has the potential to fail and cause problems for users and cloud computing technology is no different. Here are some of the most common cloud computing disasters that are regularly encountered. The cloud is often considered as the perfect place to store your data instead of traditional storage routes such as in-house servers- which can fail causing loss of data. However, although the cloud computing model provides ‘virtual’ storage the data still needs to be held on physical ‘server farms’ which can also fail- causing data loss on a much bigger scale. If the servers of a cloud provider are down it can cause a knock-on effect, putting businesses offline and jeopardising their day-to-day running operations. Cloud enthusiasts are quick to promote the safety and security of using cloud applications and data storage facilities and whilst this is true for a large percentage of providers, it is still possible to encounter issues. There are different cloud models with different levels of security built in to account for security issues, for example a public cloud infrastructure will be less secure than a private cloud and would not be suitable for businesses wishing to store highly sensitive data. The nature of the cloud though means that it will always be vulnerable to outside attacks and occasionally infiltration which can result in serious data breaches. The most difficult cloud model to protect from an outside malicious attack is the Infrastructure as a Service (IaaS) model. This is because users of this service generally tend to have more freedom when using the provider’s servers and storage facilities. Providers of cloud computing systems are also faced with the difficult task of successfully managing the online environment. There are a variety of factors for cloud controllers and admins to consider at any one time, such as; load balancing, resource management, admission control, capacity allocation and energy optimisation. Therefore it is not uncommon for providers to experience issues with at least one of these factors from time to time. As cloud computing technology is becoming more widely adopted and a central part of operating for many businesses, standardisation amongst cloud service providers is proving to be a larger problem than initially thought. Vendor lock-in- where a user is tied to a particular cloud services provider- whilst offering more security can also cause different problems for users. Sometimes it may be necessary for a user to work in conjunction with various providers to create the cloud system required for this business but vendor lock-in creates a barrier in this type of situation. As cloud technology continues to evolve, solutions to the most commonly encountered problems will be provided but it is also likely that further problems will also arise. As a relatively new technology, there are still many variations of cloud service provision to be explored and perfected. In today’s world, businesses need to be competitive. One way to achieve an edge over others is to take advantage of various programs and software that are available to all business owners. You cannot just start your company and hope for the best. You need to actually take some steps to ensure that you have the right tools to make things happen. Today I would like to write a few words about a web development company. I am sure that you would agree with me that having a nicely-looking website is absolutely mandatory these days. What is more, taking advantage of various programs can be very beneficial as well. Just think of it like having an application for every problem that appears in your business. Wouldn’t you want to have an instant solution to everything? One of the ways to achieve this is to have somebody design a custom program for you. This can be a lo0t easier than you might think and it can be achieved without breaking the bank. So many businesses these days achieve so much with the help of such solutions that it would be foolish to stay behind and not achieve the same. I am sure that you would agree with me when it comes to that and I am sure that you would be willing to improve your company that way. Brighton which is also known as “London by the sea” is one of the most popular seaside resorts one can come across in UK. Located just 50 miles away from London, this city has become quite a popular destination for the tourists from all over the world. For tourists who wish to visit UK and spend their holiday in luxury on a pebble beach basking under the sun, Brighton is the place to be. There are some quaint seaside cottages which might attract the tourists for its beautiful location and facilities provided by them. This cosmopolitan little seaside town of Brighton presents its tourists with a bright night life along with some popular amusement arcades which are not to be missed. For big families spending their holiday in Brighton, there are quite a few beach houses and holiday homes to accommodate a large group of people. These holiday resorts are made to provide you with the luxury you have always dreamed of. They provide you with big spacious rooms in an exceptional value. There are penthouse apartments to be rented with impressive decked terrace, where you can spend hours looking at the sea with your loves ones. Brighton which has emerged to be one of the famous touristic spots in England has got offers and accommodations for all kinds of tourists. There are holiday flats that have self catering services, which render a homely atmosphere for the visitors who take comfort in such accommodations. Such establishments take great pride in their stylish but at the same time affordable apartments, cottages etc. Some places have gardens and lawns adjoining the rooms or cottages which make it a delightful place to stay for the tourists, who can spend their leisurely hours with family under the sun. Brighton is a city well known for its festivities and famous landmarks like, The Royal Pavilion, Preston Manor, Sealife Centre. All these make sure that your stay in Brighton will be a fascinating one. Along the beautiful scenic beach, the strip between its two piers is full of good bars, restaurants, amusement parks and nightclubs. The official nudist area is also a major attraction for the tourists. For couples or families who wish to rent a house for their stay, it is advisable that they should book it prior to their visit. There are places which provide houses or even big spacious apartments where one can find all the comforts of home. Generally the big holiday homes can accommodate more than 10 people. They come with attractive furniture, like big comfy couch, a flat screen television, beautiful hand woven carpets, fire place etc. These houses provide 4 to 6 bedrooms with a bathroom and at times a nice stretch of lawn or garden around it. Brighton offers its tourists with all kind of engagements, be it a wild party, a quality time with friends in a pub or a nice day at the beach. 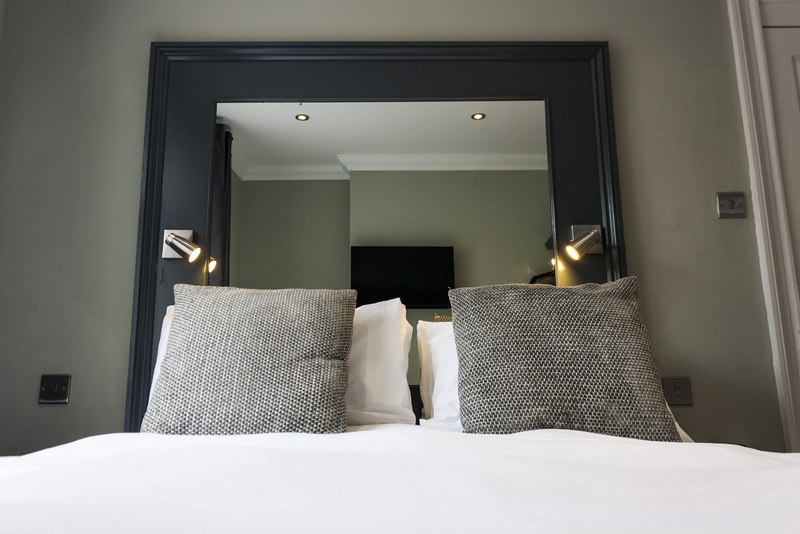 If you are planning on a vacation to Brighton then make sure to find a cool holiday flat in the city which would make your stay a very enjoyable one. It can certainly be tough to choose a designer who can design a website that is perfectly according to your needs. Before you make any decision, it is important to know that your website is one of the key investments in your business. You need to make its design perfect and that can only be possible with the skills of the best designer. You won’t be able to figure out whether the designer is best for you or not if you don’t really know what you want. What are your designing goals? Do you want to improve the ROI of your company? Are you a startup and you want to give a boost to the visibility? In all cases, you need to know your business goals so that you can further choose the best designer for working on your website. 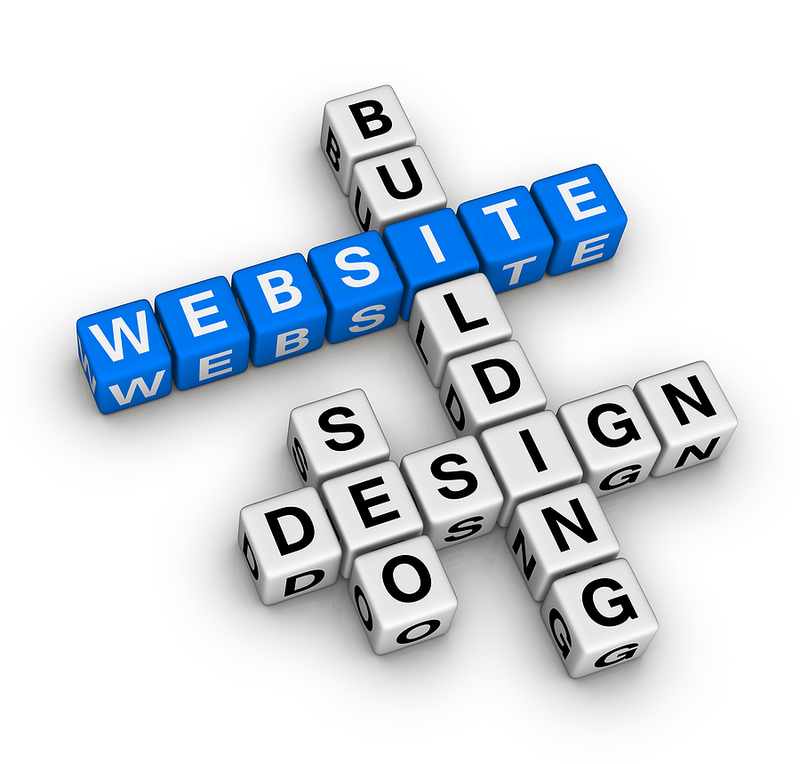 Your budget will be the major factor that can influence your choice of hiring a web designer. Although every business has its own budget set but you must know that spending a little more money on your website would do no harm, it is simply going to increase your ROI with time. Just focus on the long term results before you set a budget for this project. The more experienced designer you choose, the better chances of getting the best design for your website. You can check the track record of the designer to find out more about him. This will make you see whether or not he is capable of meeting your needs and delivering the results which you want for your website. Communication is one of the most crucial factors that can let you know whether or not the designer is capable of meeting your needs. It will always be easy for the designer for making the client explain whatever makes senses for the website if he knows his work. If you think the designer is not good in discussions then it means that he is not good in communicating. This is not the kind of person you need. Is your designer familiar with the basics of optimizing a website? You are going to need a designer who knows how to build a solid SEO strategy for the website to optimize it for the search engines. If you don’t find a designer who seems to be well versed in SEO practices then keep on looking. You want a web design that could provide the best user experience with easy navigation, a friendly interface and quick and easy ability to locate information. Interview the designer and see what kind of user experience he can promise to provide to your potential visitors. These simple tips and tricks are going to help you a lot in finding the most appropriate web designer. This particular sub-Reddit thread is a pretty useful community for parents who simply want to ask practical questions about their baby monitor. The community itself is a mix of parents talking about stuff relevant to raising their children, from cyber bullying to the idea of gifted children. This swirl of discussion also makes it a great platform to ask about the best baby video monitors on the market. Whether you have simple questions about proper monitor placement or more technical ones like adjusting the wireless internet access channels of your device, you can reach out and tap into the advice of fellow parents on Reddit. The first year sub-forum – particularly the “baby’s first year” and “special concerns” threads are another great place to learn more about the best baby video monitors on the market. The community also has “groups” where parents can meet up and bond together over the special circumstances they find themselves in, such as birth months or raising babies after the loss of their first one. You will then want to ask around in the sub-forum and checking out groups dedicated to baby and nanny cameras. This will help you get some of the answers you need regarding baby monitors, from adjusting their digital cameras to setting up two-way communications. Not only is the parenting sub-forum of Mothering.com a useful place to ask for information about the best baby video monitors around, but they also have quite the variety of threads for unique parenting setups. Working parents, foster parents, blended parents, step-parents, multicultural parents – this place is a treasure trove of information for troubled parents. There is even an “Ask the Experts” section if you want more in-depth information on how to pick, set up and maintain your baby camera in the long run. If you’re interested in the best baby video monitors out there, then chances are you’re a parent that knows the value of technology in helping raise children – which is where TechMamas comes in. This particular blog churns out content for the techie parent, from the latest gadgets for kids to how best to ease children into the ups and downs of social networking. If you’re a dad or mom that wants to bring tech into your family, then TechMamas is one blog you should consider following. Babble is a website that offers an eclectic collection of articles for parents, from all about potty seats to the hard truths foster parents have to accept. The breadth of the topics covered in Babble makes it a useful resource for parents that want to learn more about parenting. You will rarely get detailed information about baby monitors each day, but it is worth bookmarking the website and checking out each day to help deepen your understanding of what is involved in parenting. If you like your parenting tips with a bit of snark and wry humor, then ScaryMommy is the place for you. The content is varied, from handling IP cameras to money-saving tips, but it is the tone of the articles that really makes it stand out. The storytelling packs some deep thoughts of wisdom coated in a fluffy layer of biting sarcasm and smirk-inducing humor. This is the place to go not just for parenting tips but for a good laugh as well. Bookmark these sites and you’ll be not only learn more about the best baby video monitors on the market but also broaden your horizons as a parent! Chinavasion is a wholesale company that specializes in gadgets and gizmos. Those looking for the best baby video monitors that don’t cost an arm and a leg ought to check out Chinavasion.com. Not only is the catalogue of monitors extensive, but the dropshipping plans and bulk-order discounts help add value to each transaction. Many business owners out there wonder what the best way to run a business is. Well, they are right to do so because in order to generate a profit their businesses need to be effective. All kinds of businesses should benefit from ERP Software. This type of software is designed with successful business owners who want to maximize the profits, minimize the costs, and overall make sure that their business runs as smoothly as possible. To be honest, very often running a business without this type of software can cause a complete failure. I don’t even know of any medium-sized or bigger business that doesn’t use some sort of software to conduct business operations. Since the technology is here, it is a wise idea to take advantage of it as much as possible. Product planning: a business owner needs to first plan what he wants to sell and what kind of audiences he wants to gear this product towards. Manufacturing or service delivery: in this day and age it is very important to be as reliable as possible when it comes to deliveries. Therefore, it is of utmost importance to make sure that this part of a business runs as smoothly as possible. Marketing and sales: when you don’t advertise, people won’t be able to know about your services. The right type of software can manage all the required moves that are needed in order to marker a product efficiently. Inventory management; in other words, you need to know what you have and what you don’t have at any given time. Shipping and payment: you need to store the information about how much and when you get paid in case something goes wrong and you don’t get paid on time. Without any doubt, businesses these days need to take advantage of technology in order to be competitive. I know it for a fact because I myself used to work for a large corporation that heavily relied on the progress in technology to conduct its business operations. Because of this, I am going to provide you with a few technology wonders that are absolutely essential to every business out there. 1. Computers are the backbone of almost every business out there. I cannot imagine running a business and not having one always by my side to help me with any task I might need help with at any time of day or night. 2. Telephones are also the backbones of every business out there as they allow a business owner to communicate with his clients and business partners. 3. Printers are also a great tool allowing you to satisfy all your printing needs on the go. While having one by your side, instead of asking somebody to print for you, you can easily do it yourself. 4. Unlimited access to the Internet plays a pivotal role in the life of every business. Without it, business owners wouldn’t be able to find new business partners, not to mention that the Internet is a great tool allowing you to spread the word about your growing business. 5. A multimedia projector can add a lot of life to every business. With the help of the projector, you can make all your presentation easier to understand for your employers and you can have fun preparing your presentations as well. 6. If instead of a multimedia projector you prefer to use touch screen monitors, feel free to do so. One of the reasons so many people out there are so into technology these days is that technology gives them access to some of the latest technology wonders such as touch screen monitors for example. 7. Laptop computers are easy to take wherever you happen to go. They can easily fit in any suitcase or backpack, and you can take them with you literally anywhere. When deciding on which company to purchase your power, RF components from, there are a few important factors to consider. The following are among the most important attributes. Approximately two-thirds of RF components are custom designs. It is therefore imperative that a firm offer custom design and manufacturing for your entire power RF component needs. This includes the full range of passive RF power components, including directional couplers, RF combiners and dividers. This includes military specifications as well as commercial applications. By offering a full range of environmental conditions, you will avoid the need to look for a new vendor when your project requirements change. All units need to go through a certain amount of testing to insure their operating condition prior to shipping. This includes burn-in testing. By having this type of testing on-site, a company will be able to ship quality product from their factory. A good company will be able to perform thermo-shock testing in-house. Other important environmental tests include vibration, humidity, fungus and salt spray testing. Because of the specialized testing equipment involved, some of the environmental testing will be done in partnership with a subcontracted test facility. However, these tests will always be offered by a good power RF component supplier. There are many companies that have the attributes listed above. Werlatone is one example. More information can be found if you click here.